This special collection is the result of extensive consumer research and one that we bring you with pride. At Carico we search the world to find the finest products, produced by the most skilled craftsmen, and bring them directly to you. There are no finer products available anywhere in the world! They are designed to last a lifetime, give you great value and save you money. This is the reason Carico is experiencing tremendous growth! Thank You Carico for making our lives better! I have been working for the Carico family a little over three years in the customer service dept. I’ve had the pleasure to help customers not only from North America, but from all over the world. I have guided customers on how to use many exceptional products. From waterless cookware, to fine china; Carico has managed to be part of millions of people that today enjoy a healthier life with Carico’s products help. I am glad to be part of a company that is welcomed in millions of homes because of its products quality. After immigrating to Canada from the Philippines in 1991, I worked as a Caregiver full time. My salary was too low, so I worked 7 days a week in-between 3 jobs, but it was still not enough. I not only had to take care of myself, I also had to take care of my family back home. On November 30, 2003, I purchased an air filter and a water purifier from Carico. The products helped me so much that on January 7, 2004, I asked the representative if I could work for Carico. He trained me and within 10 months, I was working full time with Carico. Even as a part timer, I averaged between $3,500 and $5,000 a month; today I average over $10,000. I purchased a 2010 Mercedes 4x4 and purchased my 5,300 square foot dream home. Carico has changed my life; I even met the man of my dreams in Carico and got married. The products have changed my life and so has the business opportunity. Carico is forever in my life! I became a part of Carico’s customer service team five years ago and I must say it has been a great experience for me. I not only enjoy working for the company but also enjoy the products it represents. As an employee, I have the benefit of obtaining Carico’s products, trying them and take advantage of the fact that I am using the best products on the market to give my family and myself a healthier, better lifestyle. Coworkers and myself agree that there is nothing better than CARICO forever!! I have been working for Carico for over 10 years, 9 of them in the IT department. What I like best about my job is that I get to deal with the staff and the consultants as well as the clients. One of the advantages of working for Carico is that I get to use their high quality products for the kitchen and the dinning room. And that is very important for somebody like me, who enjoys cooking for family and friends. 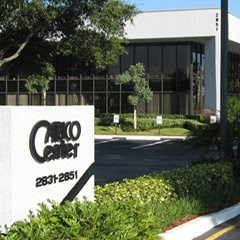 I started in Carico as a summer job student back in 1973, first as a sales Consultant, then eventually became a District Manager, and in 1979 I joined the Administration Staff. I have worked virtually in all departments of the company and eventually became an Executive. I can honestly say that Carico is definetely the company of opportunity, where people can move up the ladder and improve their lives if they are willing to put in the effort and dedication. When you see many more people like myself that have been with the company for 15,20 and 30 years, you know that there has to be something special here. I love being part of the Carico family. I HAVE SPENT TWO YEARS AT THE COMPANY. I HAVE BEEN WORKING AS A COLLECTOR IN PR, EACH CASE IS DIFFERENT AND INTERESTING. WHAT I LIKE MUST ABOUT THE COMPANY ARE THE PRODUCTS AND THE POSSIBILITY TO HAVE AN EFFECTIVE CARICO COLLECTION THAT SHINES FOR IT'S EXCELLENCE. I OWN CARICO NUTRI-TECH COMPACT AIR AND THE WATER FILTER. It’s been over two years since I’ve been working in the customer service dept of Carico. I have found very dedicated people that love being part of the company, and help improve the Carico lifestyle. I find it amazing to help customers that call me to replace a handle of a skillet, and compliment the product they have owned for as many years as my age. I am very happy to be part of a company that is known worldwide. Most of all I am a happy and proud owner of many of Carico’s diverse luxurious merchandise. Tengo 10 meses trabajando en Carico en el departamento de colecciones. En Carico me mantengo todo el tiempo ocupada, no hay tiempo para el ocio y me ayuda tambien a estar en contacto con muchas personas. Me siento muy a gusto con las personas con las que trabajo y el ambiente de la oficina en sentido general. Tengo varios productos de Carico, el purificador de agua, el purificador de aire, las ollas y los cuchillos. Me encantan los purificadores de Carico, y me han servido de mucho: el de aire me quita cualquier olor cuando cocino y tambien es de gran ayuda cuando alguien esta enfermito en casa, es maravilloso. El purificador de agua de Carico le ha cambiado el sabor a mi agua, ya no tengo que comprar agua embotellada. Las ollas y los cuchillos de Carico tambien me encantan. El secreto de las ollas de Carico es no cocinar a fuego alto y queda super bien la comida. Los cuchillos cortan perfecto, I love them. Sinceramente recomiendo los productos de Carico que he comprado, porque a mi me han resultado super BUENOS todos ellos. I’m working at the Collections/Department since 2 years and I like to help the people by phone. Carico gave me the opportunity to learn many things reference products and rights that we have also with our debts. I got a water filter and knives that I’m using every day and never have had a problem with them, my products are fantastic. I would like to buy a Nutri-Tech for my kitchen. I have been working in Carico in the Customer Service Department for about 4 months. The staff here is great, like a big family. Carico is full of dedicated people and I thank everybody for giving me the opportunity to work here. I do not have any of the Carico products yet but hopefully in the near future. I am convinced that Carico only sells the best. My name is Ricardo Ortiz and I have been working for Carico International for the last five and a half years. Since the very beginning what really attracted my attention was the company products lines. Today, I am very committed with our company and our customers. I am very proud to be part of the Carico family because, as a company we are helping the people to improve their quality of life with the exclusive products like the Air Purifier System and the unique Water Filter System among the others products within the health and life style lines. My experience with Carico is rather a humorous one in that when most women talk to their hair stylist their normal conversation is how are things going and after knowing each other more than a few years she asked so where do you work? When I replied Carico my hairstylist Irlean was so impressed and she commented that she has been a customer of Carico for over 20 years. She lives by the Carico standards and proceeded to go on that she would not use anything else. She expressed that she has been a loyal customer purchasing things at her convenience. She proceeded to comment that she has always been treated very respectfully and professionally never imposed. In all these years she highly recommends the Carico line of products. Needless to say I was proud to say I work at Carico. Carico Change my life. This company is bringing to me the best opportunity that I could have found in my entire life. This is a great family and company. Carico is changing your life and your health. All Carico’s products are going to change your life. This company opened my eyes to a better financial income solving my family problems.